Pre-trial inmates who have been in BCSO custody for 30 days or more are offered on-site educational services. These services include functional literacy classes, high interest classes, HiSET (high school equivalency certificate) preparation, and individual study opportunities. HiSET testing is provided to students who demonstrate readiness. All sentenced inmates with at least 60 days remaining are eligible for education services. In addition to the services provided to pre-trial inmates, sentenced inmates are offered a book club and credit bearing college classes through Cape Cod Community College. Cape Cod Five Cents Savings Bank provides finance classes to BCSO inmates to learn how to recover from bad credit, how to budget, and how to invest. This class is available to sentenced females and participants of the RSAT Program. Participants receive a certificate of completion enabling them to open a checking account at Cape Cod Five Cents Savings Bank. Provided by Cape Cod Aids Awareness, this class provides information on nutrition, disease prevention, and HIV awareness to sentenced inmates. The Job Readiness & Employment Program provides regular employment readiness services to all inmates in the program, focusing on job preparedness skills and maintaining regular contact with employers in an effort to support job retention. The Job Readiness program is designed to amplify existing re-entry programs that already focus on life skills through inmate participation in a series of workshops. In addition to this curriculum, the Job Readiness & Employment Program is supported by an Employer Partnership Plan, a Mentor Partnership Plan, and a Measurement Plan. 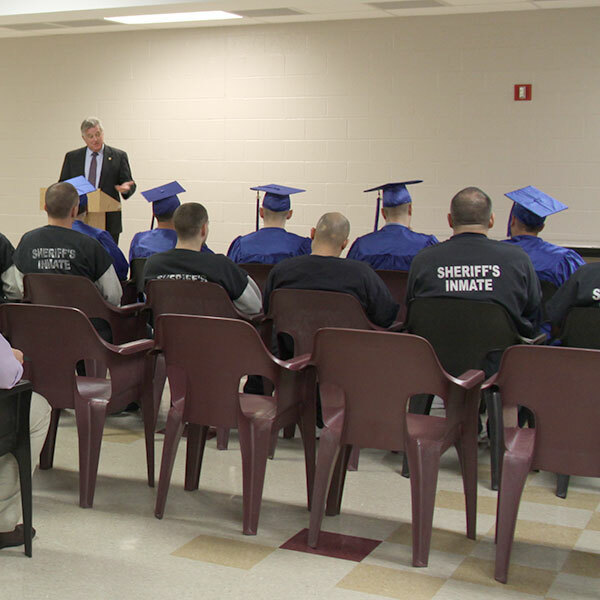 Inmate job retention is the goal of the BCCF Job Readiness and Employment Program. Medical services are provided to all inmates housed at the Barnstable County Correctional Facility. Upon entry into the BCCF, inmates are examined by our medical staff for immediate medical needs and screened for detoxification, routine medical issues, chronic diseases, eye care needs, infectious diseases, dental needs and obstetrics/gynecology, and an individual plan is put into place for treatment during incarceration. Our round-the-clock medical department provides all emergency medical care and follow up for our inmates as well as inmate medication needs, coordination of outside health care facility services and oversight for all detoxing inmates in our care. In addition to the above medical services, the medical department is also responsible for the oversight of all inmate mental health needs. Our mental health program providers include a psychiatrist and nurse practitioners who prescribe medications and oversee patient cases as well as social workers who provide counseling services for patients in need. The Raising Healthy Families program at the Barnstable County Correctional Facility is offered to all sentenced female inmates and RSAT members. This 6 session parenting class provides inmates a strength based perspective on parenting which develops and enhances their skills for understanding child development, child and parental temperament, positive disciplining, understanding anger and managing power struggles, and parenting differences. This program is based to showcase growth in inmate parenting skills. The BCSO Reentry Program Task Force combines the efforts of our human service clinicians, our medical transition coordinator, reintegration coordinators, education advisors, job developer and various community agencies including probation and parole to develop individual effective reentry plans for each of our inmates. Reentry programs are available to all sentenced inmates and begin when an offender is initially incarcerated and ends when the offender has been successfully reintegrated into the community. The Reentry program includes establishing an individual risk/needs assessment to determine the intensity required for treatment. Transition planning is updated throughout an inmate’s incarceration and finalized within 60 days of inmate release when planning for reentry begins in earnest. The BCSO has also established support groups in the community to provide additional assistance once inmates are released from the BCCF. Local agencies currently partnering with the BCSO to help inmates with their release plan include Mass Rehab, Career Opportunities, Duffy Health Center, South Bay Mental Health, Probation, Veterans Outreach, Department of Mental Health and the Bridge to Hope Mentoring Program. 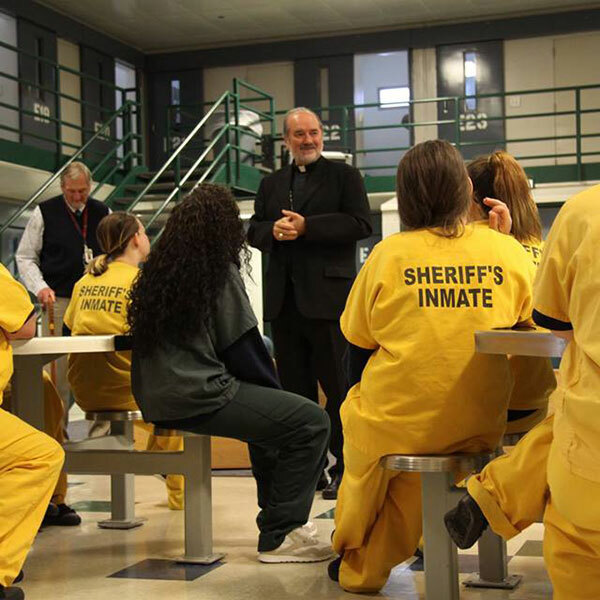 Religious programming at the Barnstable County Correctional Facility is overseen by the BCSO Chaplain who manages the faith based volunteers and ministry within the facility. Weekly catholic and protestant services are held inside the facility for all those who would like to attend. The Chaplain also coordinates bible study groups, spiritual growth classes and religious retreats for all faiths inside the facility for those interested in continuing their religious education while serving their sentences. Treatment programs at the Barnstable County Correctional Facility are provided to inmates to address known factors for recidivism. The BCSO provides moderate treatment opportunities to sentenced inmates in our general population housing units. Substance abuse treatment in these units focuses on enhancing motivation for recovery and providing the knowledge and skills to proceed with recovery from addiction. High risk individuals are provided more intense treatment and reentry planning is a highly emphasized component of the program. Alcoholics Anonymous and Narcotics Anonymous groups are provided by community volunteers. The Residential Substance Abuse Treatment (RSAT) Program also known as the Shock Unit is a military based therapeutic community for men who are housed apart from the general correctional population at the BCCF. The RSAT Program incorporates discipline, respect for authority, and a coordinated approach involving treatment, education and security staff. Admission to the program is voluntary and inmates must have a sentence long enough for them to complete a minimum of six months in the program. In addition to daily mandatory group sessions, participating in offerings such as intensive relapse prevention, anger management, meditation and job readiness are elective. Other program offerings are also available to inmates in the RSAT program. Research sponsored by the National Institute of Justice has proven that offenders who complete a 6 month residential substance abuse program at the BCCF experience a significant reduction in recidivism during the three years following release, as compared to those who did not complete the program and those who had no treatment. We are proud to say that in 2014, the BCSO RSAT program was selected as a National Mentor Host Site by the Bureau of Justice Assistance. In 2012, the Barnstable County Sheriff’s Office initiated a program to treat opioid and alcohol dependence by providing Vivitrol (extended release Naltrexone), a non-narcotic, once-monthly injectable medication, to sentenced inmates housed at the Barnstable County Correctional Facility. Voluntary participation in the program provides the inmate with services for registration with Mass Health Insurance, medical clearance, pre-release counseling and Vivitrol treatment prior to release. To ensure treatment is in place post release, inmates are scheduled for an appointment with an outside clinic to establish a comprehensive treatment plan. Treatment plans for inmates in the Vivitrol Program also include behavioral health treatments and/or involvement in support groups to help further recovery. The Women’s Substance Abuse Treatment Program at the Barnstable County Correctional Facility is designed to promote sober, balanced and prosocial living. This program consists of 36 sessions with a focus on topics such as basic substance abuse education, cognitive structuring, social and relationship skills training, and/affect management, recovery from trauma and the building of resiliency, mindfulness and distress tolerance, development of relapse prevention skills and community responsibility skills. The program also includes a “Seeking Safety” class facilitated by a clinician from Independence House, a community based agency that helps victims of domestic violence. In addition, to these program offerings, all elective programs offered to males in the RSAT program are available to the females in this three month program. Women may also attend a weekly trauma informed yoga class taught by a certified trauma informed yoga instructor. Participants will learn how to self-regulate their physiology using breath, mindfulness and yoga postures. They will learn through their own freedom of choice to apply aspects of yoga that work for them and how to use yoga as a coping skill to address triggers for trauma and other destructive aspects of their lives. Bridge to Hope is another program offered to female inmates. The Bridge to Hope program is a mentoring program which provides a trained mentor to meet with female inmates during incarceration with the intent of continuing the mentoring during reentry into the community.